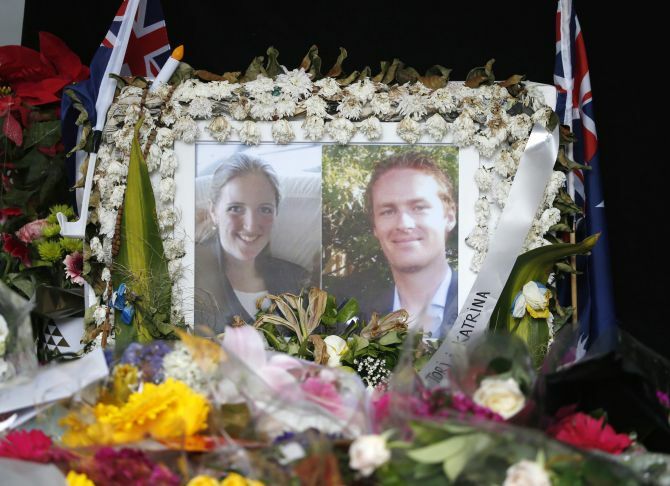 Two victims of the deadly Sydney siege were remembered on Tuesday by tearful mourners at private memorial services in Melbourne, a week after a gunman held them hostage inside a downtown cafe in Australia. 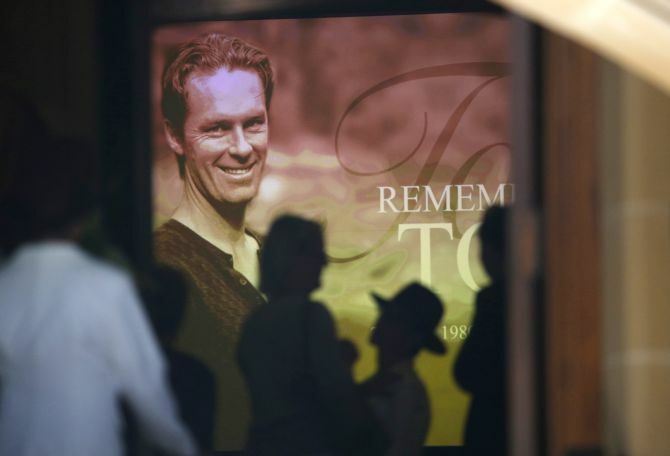 The memorial for Tori Johnson, 34, was held at St Stephen's Uniting Church, near the siege site Lindt Chocolat Cafe, where Iranian-born gunman Man Haron Monis, who had a long criminal history, took 17 hostages. The 50-year-old self-styled cleric had unveiled an Islamic flag and demanded to talk to Prime Minister Tony Abbott. Johnson, the cafe manager, died during the 16-hour siege. He has since been lauded for his heroism, after some reports said he tried to wrestle the shotgun away from Monis. According to media reports, Johnson's father, artist Ken, and mother, his former wife Rosemary, attended the memorial along with others including his partner Thomas Zinn, brother James and sister Radha Estrom. 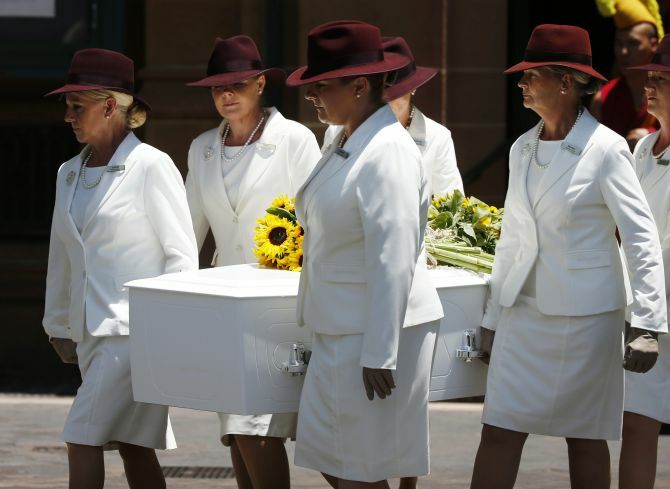 Tibetan monks chanted prayers at the end of the service and accompanied Johnson's coffin to a waiting hearse. The service was attended by Lord Mayor Clover Moore, NSW Governor David Hurley and Police Commissioner Andrew Scipione. New South Wales state Premier Mike Baird also arrived with Joel Herat, Fiona Ma, Elly Chen and Jieun Bae -- who survived the hostage crisis. At a separate memorial in The Great Hall at her alma mater, the University of Sydney, mourners remembered 38-year-old Katrina Dawson. Dawson's family had asked attendees to wear a splash of aqua, Dawson's favourite colour, to honour her life. The 16-hour standoff at the cafe touched a raw nerve in Australia. Thousands of bouquets were laid at a makeshift memorial near the cafe in Martin Place that grew bigger by the day. But with storms forecast Baird said it was the right time to clear the area. He said a permanent memorial will be set up after officials consult with the families. Bored? Solve the Dolly Ki Doli puzzle, right here! Why is Ajay Singh playing the SpiceJet saviour?